In the previous article on commandments, we learned that a young man asked Jesus how to achieve eternal life. Jesus told him to keep the commandments and the man asked which ones he had to keep. Jesus’ answer disappointed him and he decided he preferred a fake form of conversion to the sacrifices required by true conversion. Mormons—a nickname for members of The Church of Jesus Christ of Latter-day Saints, use both the Bible and the Book of Mormon as scriptures. The above story is found in the Bible, in Matthew 19. In the previous article I suggested that true conversion requires sacrifice. True conversion has the power to change our lives because it does require sacrifice. 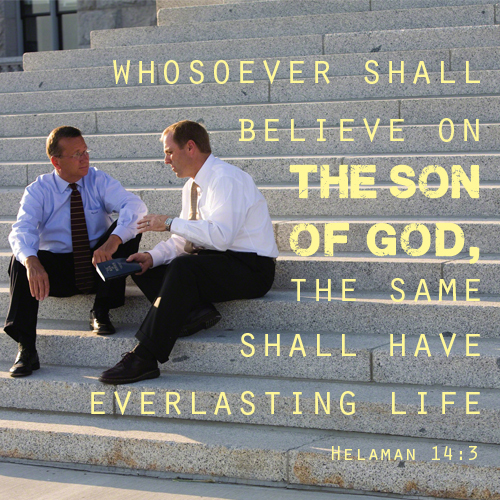 The Book of Mormon contains a sermon which illustrates the spiritual power of true conversion and how it impacts how the converted lead their lives. It explains why studies show religious people are more likely to perform service, give to charity, and to be involved in their communities. Of course, the sermon was given in ancient times, long before people did studies to prove obvious things. You can read the complete sermon yourself free online without any registration or requests for information. You don’t have to register to read the Book of Mormon free online. We will be focusing on the portion of the sermon recorded in Mosiah 4. The setting for the sermon was the retirement of the king of a group of people in the Americas called Nephites. King Benjamin was much loved. Despite being the king, he held a secular job that appears to have involved manual labor and took no salary for his work as the king. He also devoted long hours to serving others. When he decided to turn his kingdom over to his son, he called all the people together to announce the change and to give his final sermon. They came with their tents and scribes copied the speech he planned to give. They spread out among the people to read it at the appointed time. 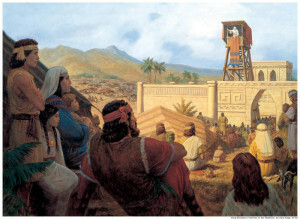 King Benjamin had a tower built and spoke from it in order to reach as many people himself as possible. Prior to this chapter the king had called on his people to repent and to obey God. He advised them to always remember Jesus, whom the prophets had testified to them would be born someday. The Holy Spirit was strong and the people were moved to repent. He then explained to them how their true conversion would impact them. Although Jesus had not yet been born and the term Christianity had not yet been invented, they were in essence Christians, or as the followers of Jesus called themselves in the Bible, Saints. King Benjamin reminded his listeners that salvation comes only through the atonement of Jesus Christ. People could not, no matter how obedient, save themselves. Then King Benjamin outlines the blessings that will come from a true conversion. It is interesting, though, that what he lists as blessings are probably things the young man who walked away from Jesus would consider negatives. 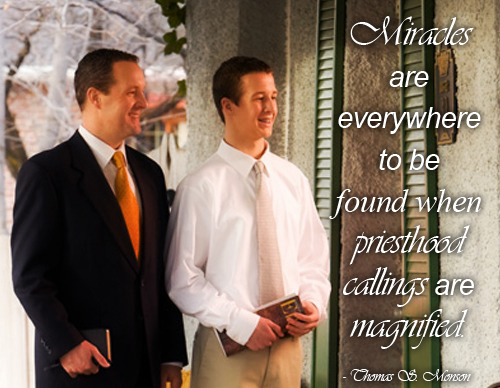 It takes a true conversion, for many, to see what is about to be described as a blessing and not a trial. He begins with something most people would be comfortable with. They will grow in understanding of the glory of God and of what is just and true. He assures them they will never be willing to let their own children go hungry, to quarrel, or to sin. 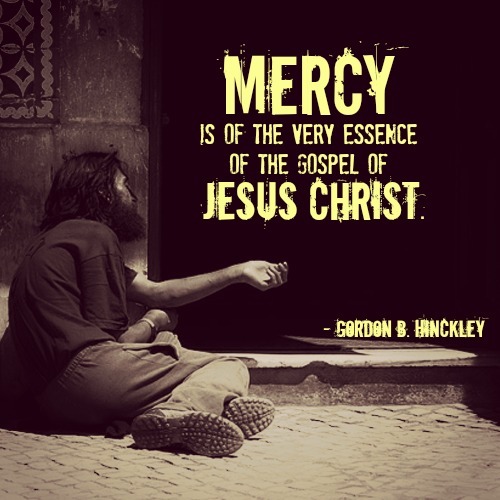 And if we really believe that the atonement was a free undeserved gift, we will be willing and even eager to “pay it forward” by finding others whose physical needs are as great as our spiritual needs and serving them—without first finding out if they deserve it. King Benjamin’s sermon stands as one of the truly great sermons in Mormon scripture. It makes clear our responsibility to our fellow man and puts it in terms of the atonement. When we see the atonement as an undeserved gift, we feel more comfortable about giving. 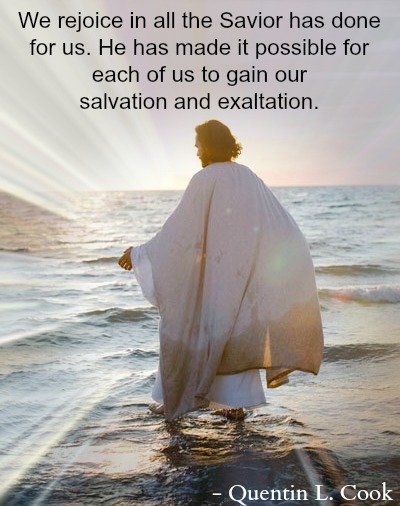 When we are truly converted and really understand the atonement, we give joyfully and obedience ceases, as the current Mormon prophet Thomas S. Monson says, to be an irritant.